The Brick Castle: 20 Years Of Dinosaur Roar! New Book, App., Website, Competition and Printables! 20 Years Of Dinosaur Roar! New Book, App., Website, Competition and Printables! Dinosaur Roar! by Paul and Henrietta Stickland is an absolute classic of a book for young children. First published in 1994, it celebrates it's 20th birthday this year and loads of fantastic goodies have been released including an app. and a whole new Dinosaur Roar! website. 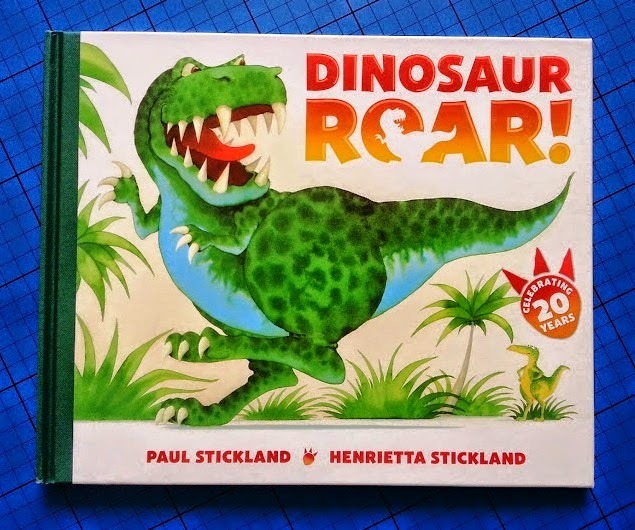 A special 20th Anniversary edition of Dinosaur Roar! has been released in a really great size. It allows children to see all of the detail in the illustrations, but isn't ridiculously heavy or large. My oldest child was born in 1994, and Dinosaur Roar! is a book that's been in our collection in various forms since he was small. 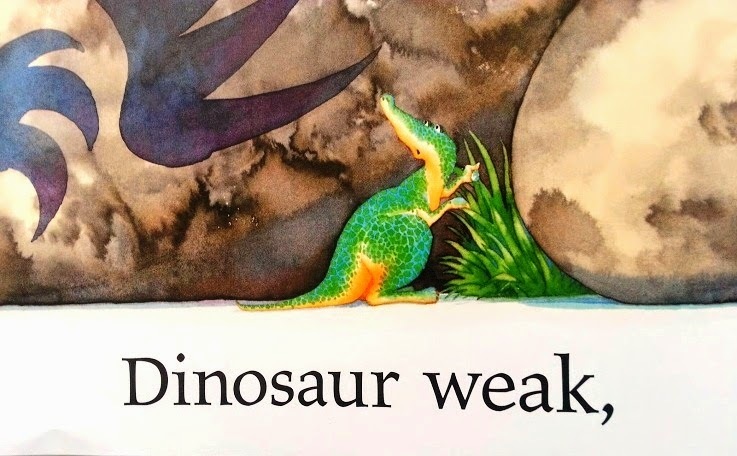 The illustrations are gorgeous, the dinosaurs have amazing character and depth, and the text introduces all kinds of useful concepts and new words to a younger child. 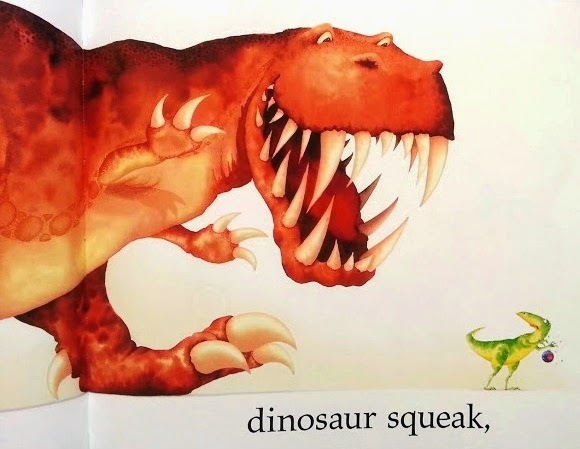 As your child grows and starts to learn to read, Dinosaur Roar! offers a brilliant opportunity to practice familiar sounds and words. The minimal text isn't intimidating to a child of any age and most of the words are easily worked out phonetically. The text is written in a lovely rhyme that leads you through the book, but keeps gentle pace and allows for lots of great voices! Dinosaur Roar! is a great setting off point for your child's imagination and inquisitiveness, and a brilliant stepping stone to non-fiction books. It always leads to questions, however many times we've read it. A new Dinosaur Roar website has been built with up to date news, games and puzzles and even a Dinosaur Roar! Club you can join. A brand new app. for children aged 2-4 (ish) has been created. The app. has 3 sections ~ Read, Colour and Name. Read is (as you'd expect) the book itself and has 3 different options. Read To Me is the book read by children and it's very lovely. There's lots of expression and it's very clearly spoken. It's also incredibly easy to navigate through the e-book. 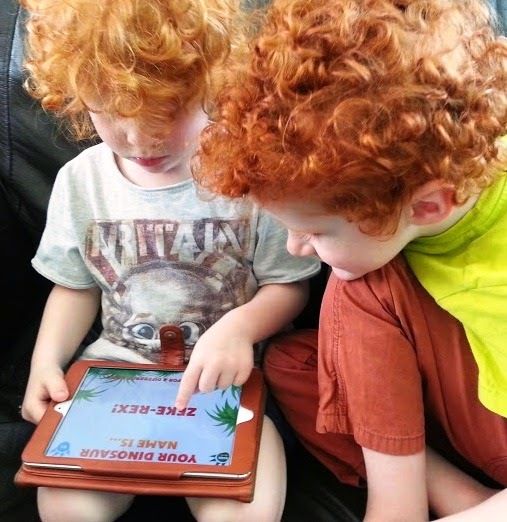 Read Aloud is without the audio of the children reading, and Record allows you to record yourself reading along with the illustrations and text. 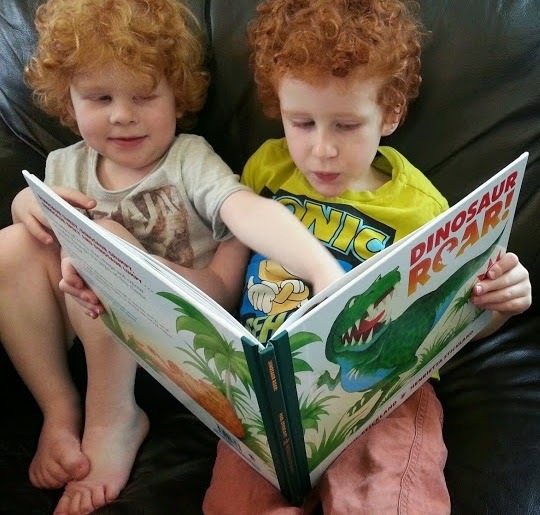 Colour has all of the dinosaurs from the book for your child to colour in. 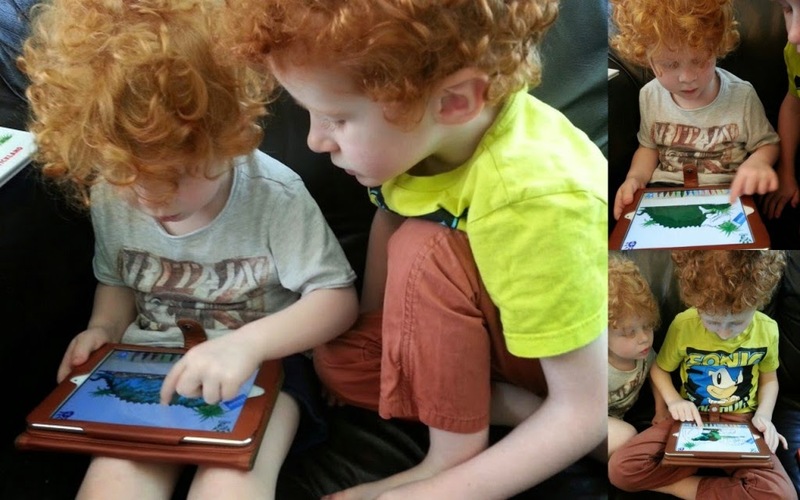 they can choose their own colour scheme, or select to fill in with the colours from the book. It's really simple and you can't 'go over the lines', so it's not frustrating for a little one, but they can still play about with the colours and easily give their dinosaur blue legs and a stripey tummy with a dotty head if they wish. Name is a Dinosaur-name generator. 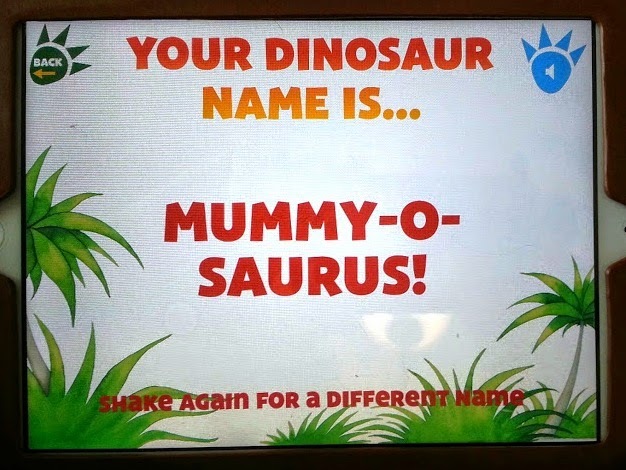 Type in your own name and shake the iPad, and you will be given a Dinosaur name. My boys loved this, they thought it was hilarious! I was a little disappointed as this is designed for younger children aged 2-4 and the keyboard is in capitals. Although my 5 year old was okay with that, my 4 year old didn't know that E is e and stubbornly spent ages trying to spell his name. I easily found I could change the on screen text to lower case, but couldn't find an option to change the keyboard - which even confused my 5 year old! The app. is fairly simple, but it's only priced at £1.99, so I think that's very fair, and a percentage of the royalties from sales go to support the work of the Natural History Museum. It's currently only available on IOS, so available from the Apple store here. To celebrate the launch of the app. the people behind Dinosaur Roar! are looking for the nation's fiercest roar! 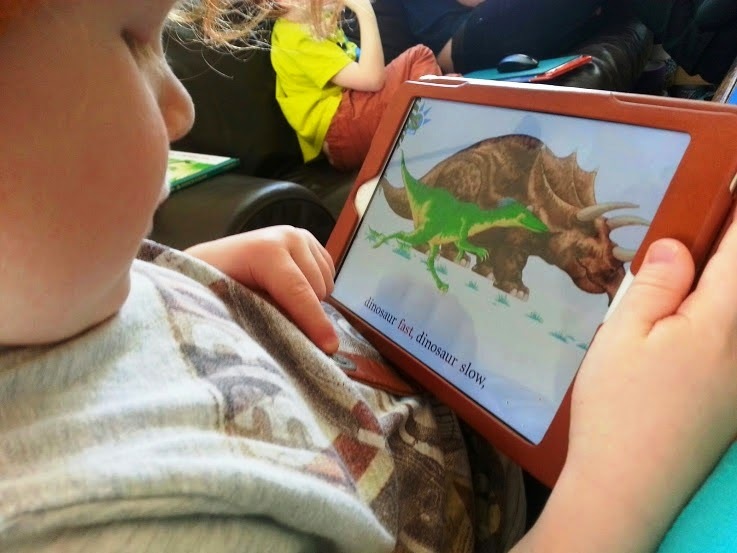 Record a short video of your child letting out a ferocious dinosaur roar and you could win a prize including an iPad Mini, Dinosaur Roar! goodies and a chance to feature on the app. If you want to become as good at drawing as Paul Stickland, you'll need to practice. 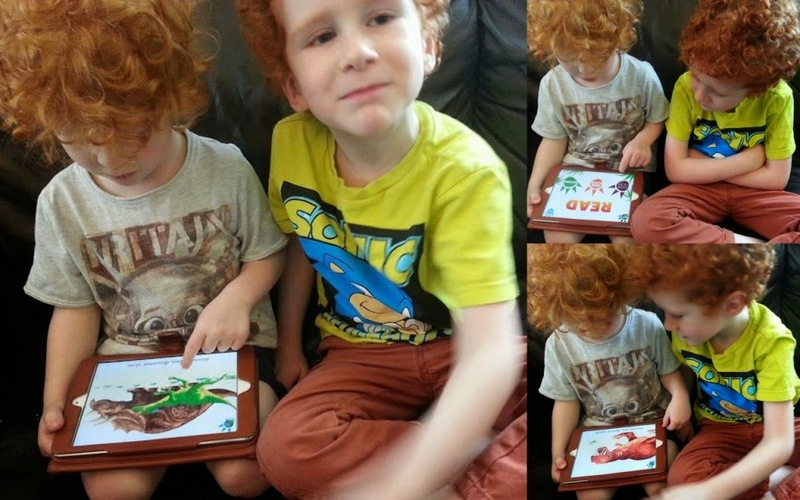 On his website Paul has free printable colouring sheets and pages from Dinosaur Roar! and Ten Terrible Dinosaurs, and he teamed up with The Guardian Newspaper to create a step-by-step guide to drawing Dinosaur Roar! which you can find here. Dinosaur Roar! is published by Penguin and Random House and is available in paperback £6.99 and hardback £12.99. I was sent a free app. code and a new hardback copy of Dinosaur Roar! 20th Anniversary Edition in order to review for this post. Didn't realised this book is out for so long! Great book. Will try to enter when I get chance! Thanks so much Jenny, BIG ROAR to the guys! I love your little dinosaurs! they look like they enjoyed the chance to roar! 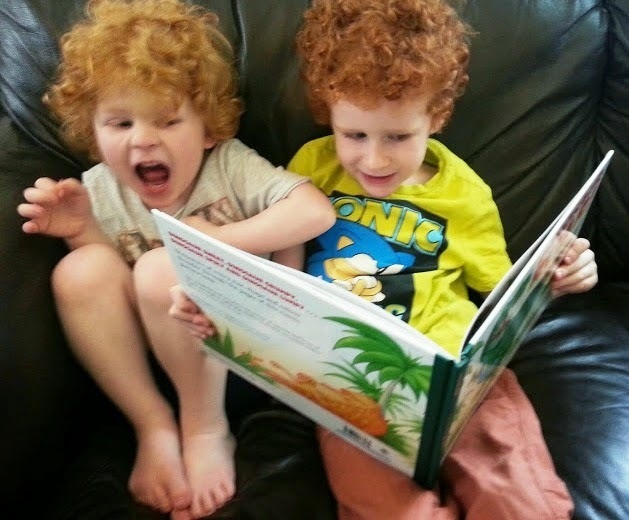 A great book and looks like your boys really enjoyed it too. The app looks fun. I'll have to get my 2 to have a go at a big roar! Sounds wonderful and perfect for this age group - I know someone who would love it!